At 10am PDT Apple will be holding a media event to unveil new products. The headline launch for many is a 4″ iPhone, widely dubbed the iPhone SE. Many believe the iPhone SE to draw heavily from the design of the iPhone 5s but with slight curved edges akin to iPhone 6. There is also believed to be an updated iPad. Last year Apple did not refresh the iPad Air 2 and so that form factor is due a refresh. However, rather than carry on the lineage, it is expected to be branded as a 9.7″ iPad Pro. It is thought it will possess many of the same traits as the larger 12″ iPad Pro, such as: 4 speakers, A9X chip, base 32gb storage, smart accessory and Apple Pencil support. This will be appealing to many who would like the features of the iPad Pro, but deem the 12″ screen too large. On the downside, the starting price is set to be given a bump of $100 to $599. Other, more minor upgrades may include new Apple Watch bands and a focus on iOS 9.3. It may well be possible that Apple is holding something back that no one is expecting, fingers crossed! You can watch the Keynote here tomorrow. 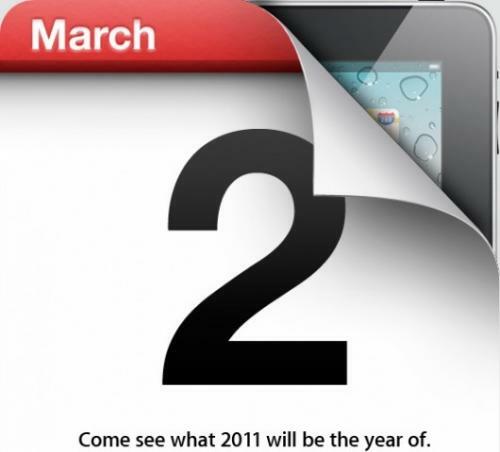 Apple will be holding a 10am (Pacific time) media event that is widely believed to be the unveiling of the latest iPad, dubbed iPad 2. The update however, is said to be minor. The iPad’s specifications should be increased but not many drastic new features. It may be Apple is adopting a similar approach to when it released the iPhone 3GS in the wake of the massively popular iPhone 3G. Other potential updates may include a MobileMe revamp as supplies of the boxed retail version have become constrained, a telling sign of an update. It is speculated to increase the shift towards cloud based operations. 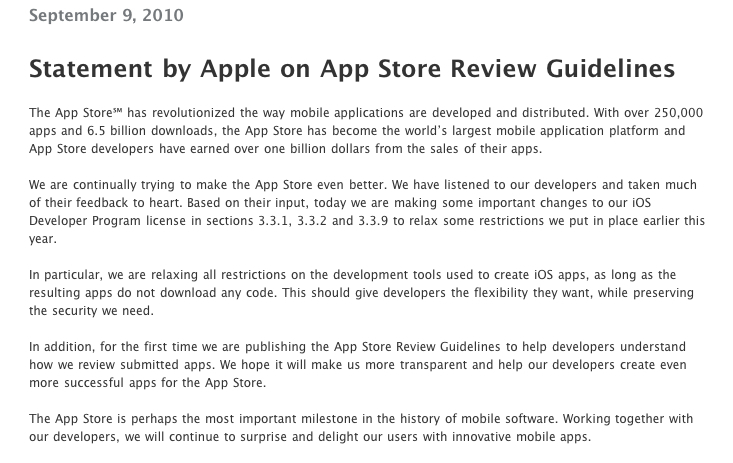 There may also be the first look at iOS 5, although an iOS update has garnered it’s own press conference in recent years. The press conference may well be simulcast from Apple.com which has been the trend with recent press conferences. The update comes just a week after iOS 4.1 was released. The update is only available for developers at this stage. You can, of course, still purchase the same books via the Kindle app on an iPad. For many iPad users with a bit of creativity, they will have considered purchasing a painting app. The choice usually comes down to Brushes or Sketchbook Pro. I decided to go for Sketchbook Pro. Sketchbook Pro has been described by some as not as intuitive as Brushes, but I can’t grasp this, Sketchbook Pro was incredibly easy to use and I am a complete novice in this area. You start with a brief tutorial and within seconds you can start painting. There are a vast array of tools to choose from, many are professional, some are rather gimmicky but for those just wanting to doodle these can be very fun. Sketchbook Pro can be enjoyed by any skill level, but obviously some artistic flair will help you. But this app is always enjoyable and really will cater to any user and allow itself to be morphed into what the user requires. 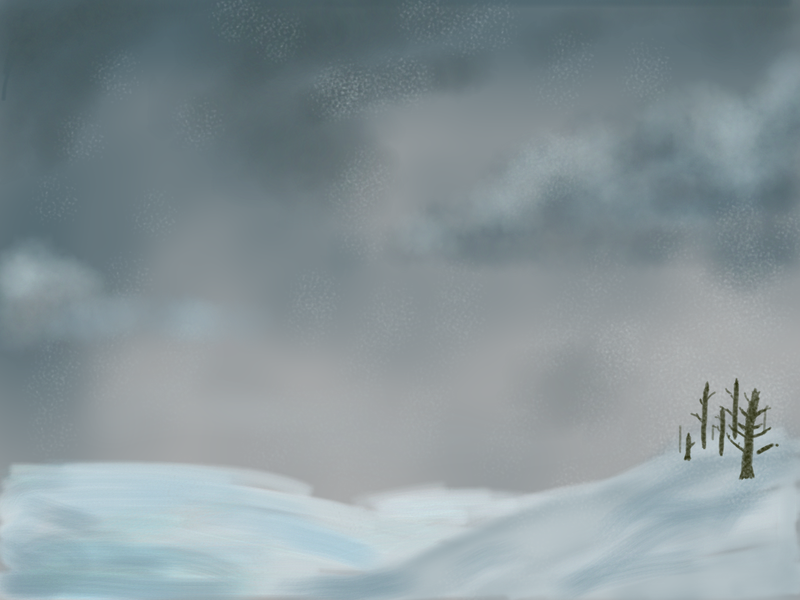 For my first image, I decided to create a replica of a photo I took in Iceland a few years ago. I was able to use a certain brush for the grass and subtle airbrushes for clouds, something you couldn’t do painting alone. The result isn’t too bad for a first attempt. My main gripe with the app (which I discovered whilst creating my second piece) is that it can become annoying when you want to find the perfect colour and therefore have to navigate the menu again and again. It is simple enough to do, but is not the most efficient method. The last piece I created is a logo for the site. The iPad frame and the 30 Pin Connector were all created using Sketchbook Pro with relative ease. I then exported the two images via email, a little work using Pages and voilà! The iPad’s background is what I use on my iPad currently. It is an actual painting my brother (who is a much better artist than I am) did. If you like it, more of his work is viewable here. So there you have it, my feeble attempts to paint a masterpiece. But as you can see, even someone with as little ability as myself can create something. For the Pros, I imagine they could create truly magnificent pieces. For the amateurs, a very enjoyable experience with an app that is thankfully merciful! The app is available here for $7.99 or £4.99. Market Analyst Maynard Um of UBS Investment Reasearch has forecast that Apple could sell 28 million iPads in 2011, and warned this figure could be “conservative”. Um goes on to state that while he believes iPad sales are not impacting Mac sales, but rather that “sales of traditional notebooks appear to be feeling pressure from the iPad“. He goes on to state that while people do not see the iPad as a realistic alternative to a PC at the moment, but rather that “consumers who purchase iPads may be more willing to delay purchases and upgrades of existing PCs”. The iPad is considered a massive success with Apple having already sold 3.27 million at least since launch. iOS 4.1 has been released for general use. The update brings Game Center, Ping, High Dynamic Resolution photography and HD Uploads as well as bug fixes, a performance boost for iPhone 3G being the most notable. Game Center will not work on the 3G model, but will on a 2nd Gen iPod Touch. Click here to download.